Professor Dr. Ashim Das Gupta holds an honorary position of Emeritus Professor of Asian Institute of Technology (AIT), Bangkok, Thailand. He retired in 2006 after serving the institute at various academic and administrative positions in Water Engineering and Management (WEM) program for over a period of 30 years. Prof. Das Gupta was instrumental in orienting the academic curriculum and research of WEM towards Integrated Water Resources Management (IWRM) which became the first well-established IWRM-based graduate program in the region. He developed and taught courses related to Hydraulics, Pipe and Open Channel Flow, Hydraulic Design, Computational Methods, Groundwater Development and Management, Groundwater Modeling, Water Resources System, Environmental Impact Assessment, IWRM and Research Design. His broad scientific interest is coupled with a steady and high productivity, and he also contributed to capacity building programs of several organizations like UNDP, UNEP, UN-ESCAP, UNESCO, UNU, Danida and German IHP/OHP. Prof. Das Gupta has been extensively involved in professional activities of international associations like International Water Resources Association (IWRA) and International Association for Hydro-environment Engineering and Research (IAHR). As an Executive Board Member of IWRA (1989-2000) in the capacity of Vice-President (1992- 1994), Director (1989-1991), Chairman: Standing Committee on Membership (1995-1997) and Publication Committee (1998-2000), Prof. Das Gupta contributed to the growth of the Association as well as in its professional activities in the Asia-Pacific region by organizing IWRA sponsored regional conferences (2 in AIT and 1 in Nepal). 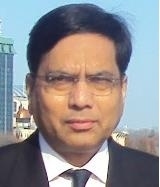 Also as Secretary/Treasurer of Executive Committee: Asia and Pacific Division (APD) of IAHR (1981-2002), as Vice-Chairman (2003-2008), he initiated and contributed to the organization of 11 biannual regional congresses in member countries (including 2 in Thailand) and promoted professional exchanges among the IAHR members in the Asia and Pacific region. He has been conferred Distinguished IAHR-APD Membership Award in 2010. In recognition of Prof. Das Gupta’s significant contributions to the advancement of hydrology and water resources and in the exchange of information at the international level, he was conferred with the “International Award” by the Japan Society of Hydrology and Water Resources in 2004. He also received the 2003 AIT Alumni Association (AITAA) Award for academic research and excellence. He received the Best Paper Award of ASCE Journal of Computing in Civil Engineering (1999) for his publication on “Subsurface Characterization using Artificial Neural Network and GIS". Acknowledging his expertise and significant contribution in modeling and management, Prof. Das Gupta’s biographical sketch is cited in Who’s Who in Computational Science and Engineering (2005 Edition), Saxe-Coburg Publications, United Kingdom. Prof. Das Gupta was consultant to Hanoi Water Resources University under a Danida project on “Support of Capacity Building at the Water Resources University, Hanoi, Vietnam” (2003-2007). He also served as Consultant to Water Resources Coordination Committee, Lao PDR in preparing IWRM-based academic curriculum in Water Resources Management for the National University of Laos (2007-2008) as well as provided Advisory Services on Groundwater Investigation and Management to Water Resources and Environment Institute (WERI), Lao PDR. He served as Consultant and Advisor to the Director General of the Department of Groundwater Resources, Ministry of Natural Resources and Environment, Royal Thai Government (2007-2009). Recently he was Guest Professor at the Technical University of Braunschweig, Germany under DAAD Project on Excellence Center for Sustainable Development Cooperation (EXCEED) – Sustainable Water Management. He also contributes to EuroAquae Master programme on Hydroinformatics and Water Management as Visiting Professor to the University of Nice during the September semester every year. Prof. Das Gupta has moved to Australia and settled in Sydney. He is professionally attached with eWater, Australia as Principal Fellow. Prasad Modak obtained BTech (Civil Engg-1978) and MTech (Environmental Science and Engg-1980) from Indian Institute of Technology (IIT) Bombay. He received Doctor of Environmental Engg from Asian Institute of Technology, Bangkok, Thailand in 1984. Dr Modak was Professor at Centre for Environmental Science and Engg at IIT Bombay between 1984-1995. In 1996, he left IIT and established Environmental Management Centre (EMC), a strategic consulting company in environmental management. EMC (see www.emcentre.com) provides services in the area of sustainability to a wide variety of clients both in India and overseas has several “firsts” to its credit. Dr Modak functioned as a Corporate Consultant (Environment & Infrastructure) to Infrastructure Leasing & Financing Ltd (IL&FS) Ltd. India’s premier non-banking institution set up for promoting Public Private Partnership (PPP). In this capacity he provided oversight on IL&FS's Environmental & Social Policy Framework and guided its implementation in IL&FS Group of Companies. He is currently Chief Sustainability Officer (CSO) at IL&FS and Dean of IL&FS Academy for Applied Development. Dr Modak has worked with almost all key UN, multi-lateral and bi-lateral developmental institutions in the world. Prominent amongst these are United Nations Environment Programme (UNEP), Geneva, Osaka and Paris; United Nations Development Programme (UNDP), New York, UN Department of Economic and Social Affairs (DESA), New York; United Nations Industrial Development Organization (UNIDO), Vienna; Dept for International Development (DFID); London; Deutsche Gesellschaft für Technische Zusammenarbeit (GTZ); Asian Productivity Organization (APO), Tokyo; Swedish International Development Agency (SIDA), Embassy of the Netherlands, New Delhi; Food and Agricultural Organization (FAO), the World Bank (WB), International Finance Corporation (IFC) and the Asian Development Bank (ADB). Apart from Government of India and various State Governments, Dr Modak’s advice is sought by Governments of Bangladesh, Egypt, Indonesia, Mauritius, Thailand and Vietnam. Dr Modak has been invited by several international agencies, public bodies, professional journals and Governments to serve as a Jury and a Reviewer. He has authored and executed more than 400 consulting reports and trained more than 6000 professionals across the World. Dr Modak has published books with UN University on EIA (translations in Chinese, Japanese), Tokyo; Oxford University Press; UNEP, Paris on Textile Industry and Environment and Centre for Environmental Education in India on Waste Minimization. Dr Modak authored a Chapter on Waste Management & Recycling in the Green Economy Report of UNEP. He was also instrumental in developing International Platform for Waste Management for Local Authorities (IPLA) for UNCRD. 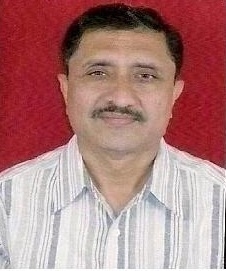 He served as Hon Editor of the Journal of Indian Water Works Association between 1998 and 2004. He was a Columnist for Green Prospects Asia magazine that was published from Malaysia between 2011-2013. Dr Modak is a Council Member of International Green Purchasing Network (IGPN), and Chairs Green Purchasing Network of India (see www.gpnindia.org) . academic and research institutions, private sector and financing institutions, bi-lateral and multilateral development agencies as well as Governments has provided him an advantage to take a rounded approach. Dr Modak has received a number of awards and recognitions and his name has been listed in distinguished personalities on environmental management. He has been recipient of the Distinguished Alumni Award of AITAA in 2010 for Significant Contribution to International Affairs. In 2011, Dr Modak was elected by American Association of Environmental Engineers as Board Certified Environmental Engineering Member for his work in Research, Teaching and Professional Practice. In order to further awareness, training and capacity building in the sustainability arena, Dr Modak established Ekonnect Knowledge Foundation, a not for profit Section 25 company in 2012 (see www.ekonnect.net) . Music, education, travelling and environmental movements are some of Dr Modak’s passions in life. Visit www.linkedin.com/in/prasadmodak for Dr Modak's detailed profile. AIT degree was very much useful due to exchange of ideas among faculty and students from different nationalities, interdisciplinary nature of the course work. Construction Management degree was very much useful in financial and man management in development sector. Worked for 30 years in Water Resources field viz. Water planning, Project Planning, Design and Construction of Dams, Canals, Lift Irrigation Schemes, offices, housing etc. Land acquisition and resettlement of project affected persons, Water management in irrigation command areas. Regional Manager (India & Bhutan), SMEC INTERNATIONAL PTY. LTD; Board Director/ Managing Director, SMEC INDIA PVT. LTD., 2015-2018. - Both during master and doctoral studies, AIT provided me with a toolkit of analytical capabilities that I could apply to various technological industries. Outside of class, I found additional intellectual opportunities. - My days in AIT were the most important part of my life. They transformed me and my perspective. My initial days in AIT were tough due to my vegetarian food habit and change in system. I was then prepared to temporarily let go of things I used to do and have in my country and this opened my mind for a whole new experience– an experience that enriched my life. - Impressive and overwhelming caliber of my fellow students, allowed me to raise my own bar and my sights that I could do anything. I started out with the belief that intelligence as well as ability are expandable, not fixed. This led them to make connections across disciplines. - AIT professors did not dictate how a process should be performed. Rather they taught me how to determine which method would be most appropriate given the circumstances. My professors had high expectations, thereby giving us a sense of confidence and helping us learn and achieve. AIT was the pre-eminent place which gave me exposure to the one of the world's best knowledge and deeper understanding of engineering, and leadership. - I also took advantage of the wonderful multinational experience at AIT. Using these resources helped me adapt faster and better to a new culture and it definitely gave me a greater perspective in my professional career. Networking is probably one of the most essential and useful skills what AITians have. - Finally, AIT gave me confidence and helped me to draws a road map for how I could get the most out of AIT, no matter where I go. - Doctor of Engineering (D. Eng. ), Asian Institute of Technology (AIT), Bangkok, Thailand. 1991. - Master of Engineering (M. Eng. ), Division of Water Resources Engineering, Asian Institute of Technology (AIT), Thailand. 1977. - Bachelor of Engineering, University of Allahabad, India, 1975. - Board Director/ Managing Director, JPS Associates Pvt. Ltd., India, 2011-2015. - Chief Executive Officer /Board Director, SNC-LAVALIN INFRASTRUCTURE PVT. LTD. (a member of SNC-Lavalin Group of Canada), 2007-2011. - Country Director, DHV GROUP OF THE NETHERLANDS. Board Director/ Managing Director MDP CONSULTANTS PRIVATE LTD (Indian subsidiary of DHV Group), India, 1998-2005. - Various Positions including Deputy Managing Director, SOUTHEAST ASIA TECHNOLOGY CO. LTD. (SEATEC), Bangkok, Thailand, 1991-1998. - Lecturer/Senior Lecturer in Civil & Irrigation Engineering, Postgraduate Department of Agricultural Engineering, ALLAHABAD AGRICULTURAL INSTITUTE, India. 1977-1991. - Pool Officer (Class One Officer), COUNCIL OF SCIENTIFIC AND INDUSTRIAL RESEARCH (CSIR), Ministry of Human Resources, Government of India. 1977. Dr. H. A. Kazmi has over 35 years of experience in company management, regional cooperation, strategic business planning, engineering, project management, teaching and research. He has been active in development in many countries and international relations. He is familiar with multilateral development bank's operational policies and Public-Private-Partnerships (PPP) projects. He participated in the formulation of corporate policies; analyzed information on economic, political and development issues and policy changes in emerging countries; and was responsible for formulating and implementing a country strategy and program for multinational firms. His experience in management and leadership includes: planning and careful nurturing employee-friendly workplace culture; creating, motivating, leading professionally diverse and multicultural teams of highly-qualified professionals and facilitating cross functional communication and collaboration. He facilitated and guided Business Unit (BU) leaders in formulating new vision and strategic direction that successfully repositioned divisions as differentiated competitors in mark, delivering bottom-line targets and helps colleagues to work effectively with clients. Born in Allahabad, India, Dr. Kazmi has an excellent education background and his meritorious academic records include many international scholarships. He received technical and management trainings at the Indian Institute of Technology (IIT), India; Australian Maritime Safety Authority (AMSA), Tasmania, Australia and the University of Nijenrode, the Netherlands. He held various senior decision making positions in transportation, tunnels water & environment, urban development, power, natural resources related companies. Throughout his long career, Dr. Kazmi has overseen some of most prestigious projects in transportation (highways, expressways, bridges, railways, mass transit, airports & ports), tunnels, urban water & environment, irrigation and water management, urban and regional development, special buildings, agriculture & natural resources, HV transmission lines and hydropower sectors in different countries. He was instrumental in securing and managing successful implementation of many contracts for mega projects and strategic assignments. Dr. Kazmi has been extensively involved in professional activities and he is member of various national and international professional societies and committees.